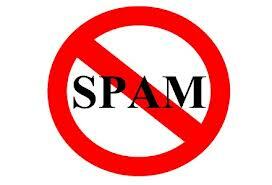 Carole's Chatter Blog Tips: Spam – not the stuff you eat! We all hate those spammy comments, right? In fact I got so annoyed that I killed them by only allowing comments by registered users. I posted about it here. But I have noticed that some readers have been having trouble leaving comments as a result. I suspect it might be a Google/Wordpress thing. So, for now, I have reset the settings so anyone can comment and will see how that goes. Another thing I discovered is that some perfectly legitimate comments get put into my spam comments folder – I thought that because I moderate comments that all comments would go there first. But no! So I recommend that you check your spam folder on your Blogger dashboard every few days. If you find a comment or two from me there about Food on Fridays, please do still link in even though time has passed. If you leave me a comment I will be sure to visit and pin your dish onto the relevant Pinboard so everyone can see it. I know what you mean. I had 24 comments flagged as spam this morning. What a pain! but yes - one has to be careful, because sometimes there is a legitimate comment.